"Thank-you for such a fantastic show when we saw you last week. I have two boys and they were absolutely captivated by your magic. They have not stopped watching your DVD and regularly practice your tricks. Here you will find 111 great, funny, (yet clean) jokes Nick has used on stage and off in a variety of situations, all of which have got laughs. 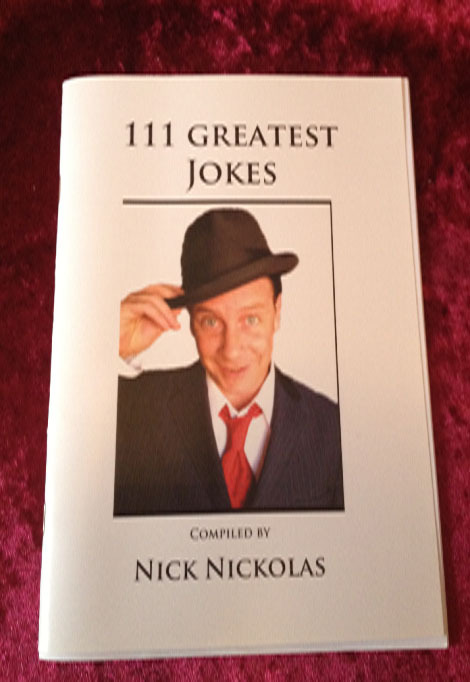 Some jokes and anecdotes collected from various sources, with others Nick created. Ever wanted to create the impossible to fool your friends? Get ready to learn some brilliant tricks for the party. 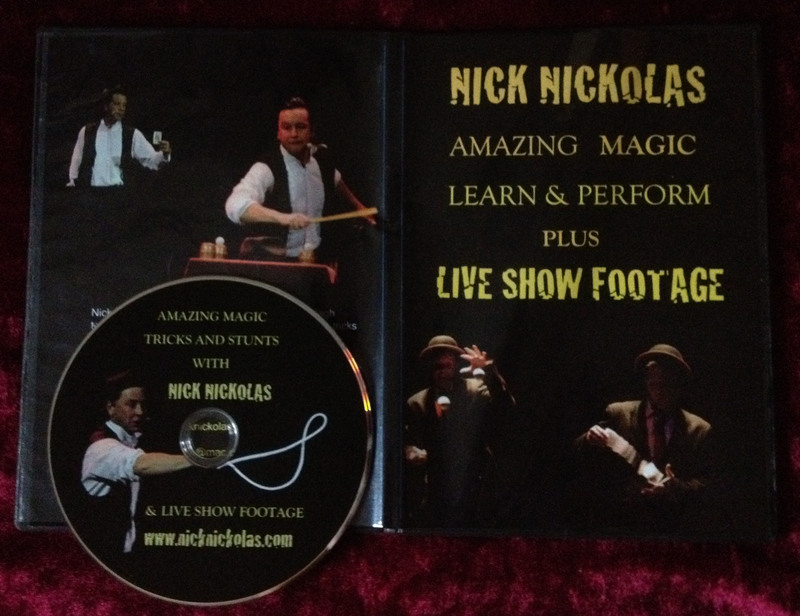 On this DVD Nick explains step-by-step how to perform a dozen surprisingly easy magic tricks and stunts with fellow magician Paddy McCullaugh. Nick has performed these all over the world with amazing reactions and great success. Now you can, too. Highly produced in H.D. with 3 cameras, simple to understand. You'll be performing them in no time. PLUS - Live Show footage. Whether you need a gag to spice up a social gathering or just want to make your mates laugh at the bar, you'll find something here to bring the house down. $20 AUD - Shipped anywhere.